Xi Jinping, the man set to be China's next president, arrived in the US late Monday. He is to meet Barack Obama who will be interested to know the kind of leader the US will be dealing with in the coming years. But while the focus will be on how the two countries deal with each other, both leaders face increasing domestic economic challenges [BBC]. 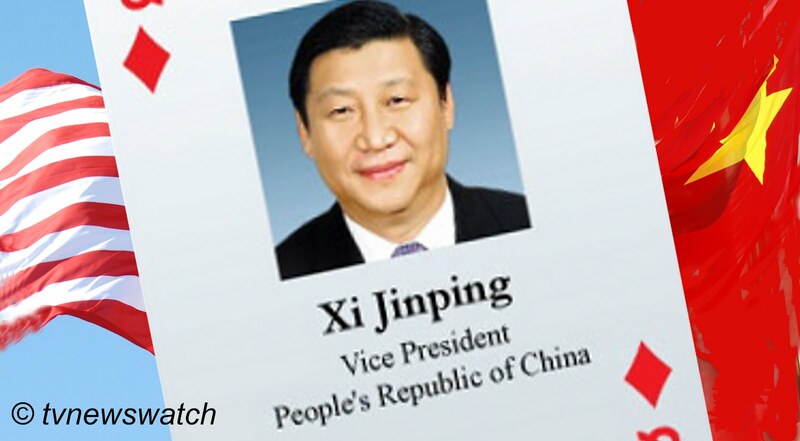 Xi will inherit a country which is seeing an increasingly divided country. While many people have become rich in the past twenty years there is an ever widening gap between rich and poor. In Xi's home town in Fujian province there are few outward signs of wealth [BBC / Video: BBC ]. Some even talk of not being able to afford a bowl of noodles, a far cry from Beijing's rising middle class who pack out restaurants and party at the many KTV bars. But America too is seeing divisions not seen since the Great Depression. Tent cities are now appearing on the outskirts of many cities as America's rising number of unemployed and homeless become detached from mainstream society. On the BBC's flagship documentary programme Panorama reporter Hilary Andersson found some of the new underclass which are living on handouts. At a school in Las Vegas she came across children who are tell of going to bed hungry and worrying about their families. Officials say that some children were resorting to eating "ketchup soup". One young girl reveals that she had even eaten rats [BBC]. Some of these families earn less than $7,000 dollars a year and it's having a big effect on the children. "We don't have any dinner at home," one girl Taniah tells the BBC, while others speak of often having to go to bed hungry. "My mom eats rats," says Sarah, a shy and withdrawn girl, who explains it was because her family did not have enough food to feed themselves. Asked how it made her feel she said she was "sad". These are children from America's new class of unemployed. Once middle class families have been left jobless and homeless as the economic situation in the richest country in the world worsens. And as they find themselves unable to keep up mortgage repayments or pay rent they join the growing number of tent cities springing up on the outskirts of America's cities. There are at least 55 such tent cities dotted across the country and while they house only a tiny proportion of the US population, their existence is evidence that America's poverty crisis is worsening. Conditions are often unhygienic with no toilets and electricity only available to a few who might still own a car or generator. Communal tents may offer warmth where campers huddle around wood stoves as the harsh winter continues [BBC]. In such conditions people's health is at risk. At an encampment outside Ann Arbor in Michigan, 23-year-old Alana Gehringer nurses a hacking cough she has suffered for several weeks. She speaks of black mould on the pillows and blankets they are forced to wrap themselves in every night, trying to keep warm as temperatures plummet well below zero. Even those not living under canvas are struggling to make ends meet. According to census data, 47 million Americans now live below the poverty line, the largest number in half a century. The number has grown exponentially, fuelled by several years of high unemployment. The causes are many but many point to the fact that jobs have shifted abroad as companies seek cheaper labour, farming out their manufacturing base to countries like Thailand, India and of course China. Poor social welfare has also exacerbated the problem. With few state benefits to fall back on, unemployed or low earning families find themselves with little or nothing to live on. Obama's promise of health reforms has helped a few, but with increasing federal debt the crisis is far from contained. 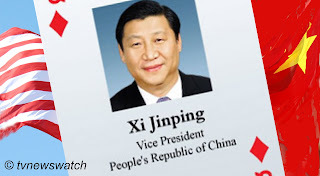 As Xi steps foot in the US he will be interested in forging strong ties with Obama and any future administration. China has seen a slight drop in exports in recent months and will be looking to help maintain stability in the US market. It is also looking with close interest at Europe and is today [Tuesday 14th February] holding talks with European leaders in Beijing to discuss the ongoing economic crisis there [BBC]. It has led to fears amongst Europeans that China could "take control" or "buy up" Europe. State media has dismissed such rumours and insists China has no intention of "buying up" or "controlling" a debt-ridden Europe. In a statement coming ahead of the China-EU summit a top state-run paper said that any help Beijing offered would be for purely economic reasons [Reuters / NYT]. The meeting comes after months of political and economic turmoil in Europe which has also seen rising unemployment and social discontent. And with further downgrades of Eurozone economies [BBC / Telegraph / FT], the begging bowl is out. Obama recently raised his concern as regards China's ignoring of Intellectual Property rights, flagrant breaches of copyright, and a desire to bring more manufacturing back home. In his January State of the Nation address he pointed to increasing protectionist policies which meant it was "expensive to do business in places like China" and that "it now makes business sense … to bring jobs back home." "I will not stand by when our competitors don't play by the rules," Obama insisted. "We've brought trade cases against China at nearly twice the rate as the last administration –- and it's made a difference," he claimed. But as the US struggles with its finances, and as China holds an increasingly growing amount of American debt, his words may well be just that; words. Driven by the need to retain strong economic ties to China, Obama, end even future administrations, may be forced to abandon such high ideals. As Xi arrived in Washington, White House Press Secretary Jay Carney appeared to clarify this as he said the focus with regards China was an "economic approach". Both Europe and US are looking to China for help, and while they may not be blind to the rising social problems in their own backyard, such issues are taking a back seat as western leaders seek to woo the the Chinese [CNN / BBC]. China has its own social and domestic problems. Wen Jiabao has already outlined the importance for China to solve these issues [China.org]. Any help China offers will likely be measured by how it benefits themselves.